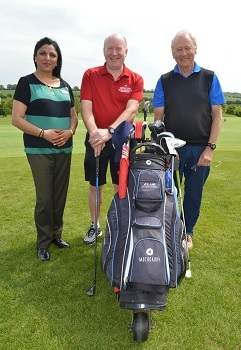 Chesfield Downs Golf and Country Club Seniors Section Captain Brian Feaver has chosen to support us during his year as Captain. To help raise funds the club has collection boxes and there will be a Charity Day at Chesfield Downs Golf and Country Club, in Graveley, on Wednesday 27th June 2018. The Charity Day is open to all golfers to enjoy a round of 18 holes on this beautiful course with some challenges that can catch you off guard such as a water hazard and bunkers. Tickets are £25 each and include a two-course lunch and hot drink on arrival. Teams of four are welcome and if you are not in a team you will be matched with others. The event takes place from 8am and if you are interested in booking a place please email Brian at or call 07792 793246. Studies have shown that playing golf can reduce stress, improve mental and physical health, and help prevent chronic diseases such as heart disease. For more information about Chesfield Downs Golf and Country Club please visit www.chesfielddownsgolf.co.uk or call 01462 482929.